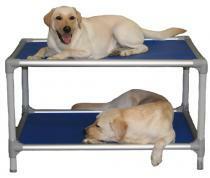 What is better than one Kuranda dog bed? Two! 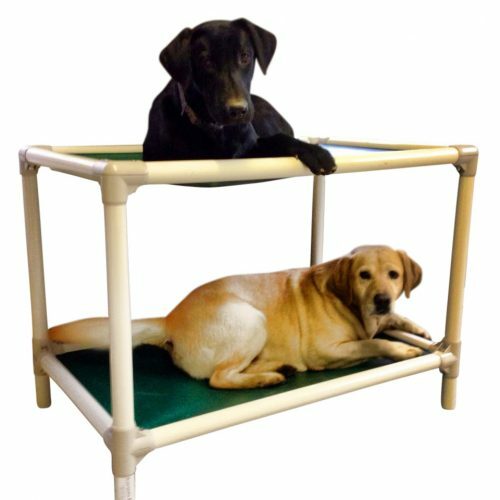 The bunk bed is the perfect solution for limited floor space for multiple dogs. They can enjoy the orthopedic comfort from the top dog view, or the security of the lower bunk. The Bunks, which are a little higher with each bed size are specially designed at optimum shoulder height for dogs to jump onto. The Bunk Beds come in either the Poly-Resin or Aluminium frame – see below for details.